We offer two types of payment methods. No matter how you prefer to to pay for your procedure, you will receive the highest quality care. You’re in control of how you pay. (Make sure you don’t pay too much). When you choose to complete your procedure with one of our specialized physicians in Charlottesville, you choose an exceptional experience. If you are self-insured, uninsured or enrolled in a high deductible policy, transparent pricing is your low-cost alternative to paying with insurance. Instead of unexpected sky-high bills coming in after the procedure, you know the cost upfront. Visit the Pricing page of our website for a list of specific prices for many of the procedures we offer. If you don’t see the procedure you need listed, please call for assistance. We make payment simple and easy, with a simple up-front fee due at the time of your initial doctor’s visit. 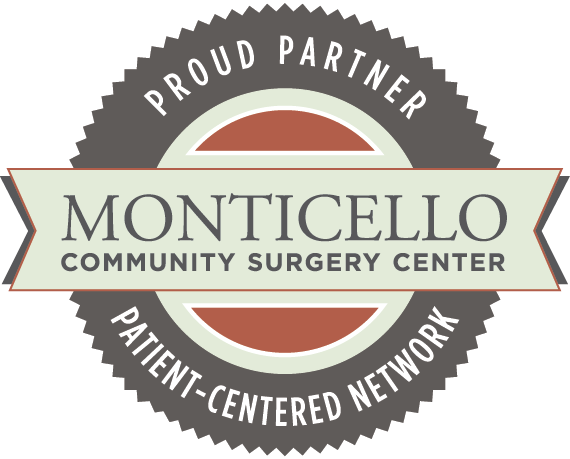 You will be able to pay one simple fee prior to surgery, by cash, or credit card. These low fees are made possible by our physician-owned center, which eliminates administrative overhead while delivering best-in-class service. Learn more about our revolutionary transparent pricing model here. If you have private insurance, Medicare, or Medicaid, you can access all the benefits of your provider at our comfortable, intimate facility. We accept all major insurance methods (if applicable) to pay for your procedure. Like a traditional hospital, we simply file the cost to your insurer. Our combination of transparent and traditional pricing means you now have a choice about the price of your healthcare experience. We’d love to discuss your options, make referrals or answer questions. If you or someone you know may need surgery, please contact us. Thank you so much for taking such nice care of me this morning for my procedure. And I’m extremely appreciative of you sending the pathology to Lab Corp Va, which will save me considerable money. I felt comfortable with you because of your friendly, professional approach.